2016-02-07 WA Safety In stock! Order now! 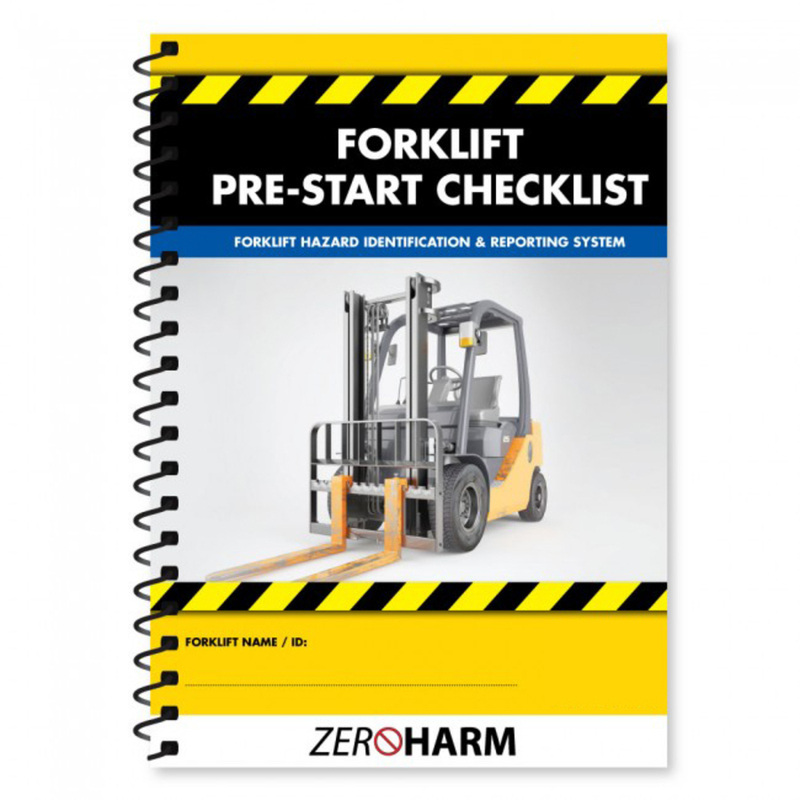 The Forklift Pre-Start Checklist book helps you identify any faults with your forklift before starting forklift operations. 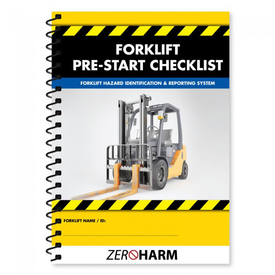 The checklist is quick and simple to use and guides you through a series of checks to ensure the safe operation of the forklift. Ergonomic A5 sized book (210mm x 148mm). 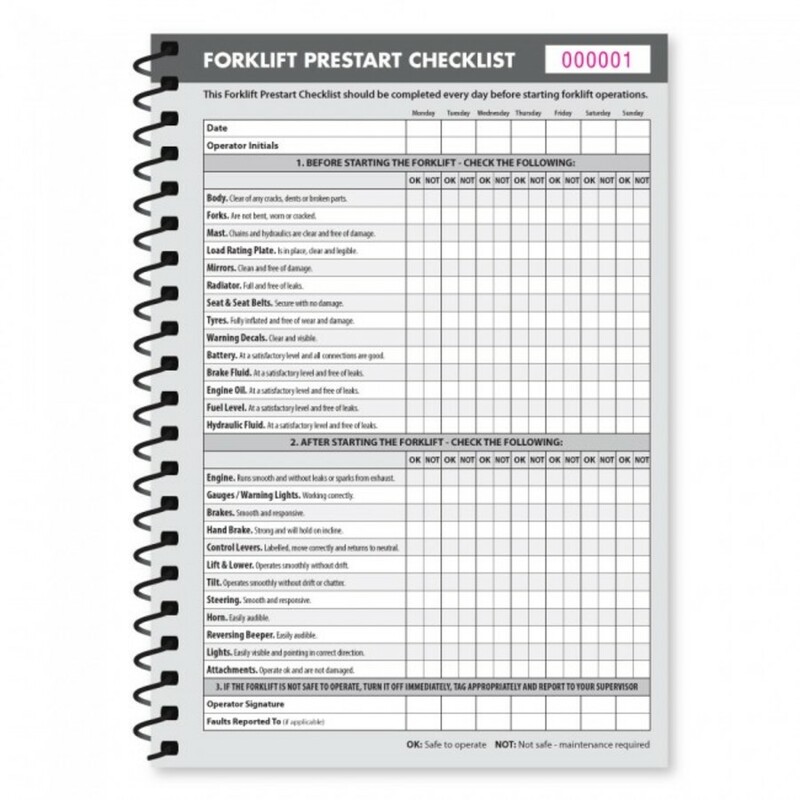 x52 duplicate checklists sets per book (one for every week of the year). 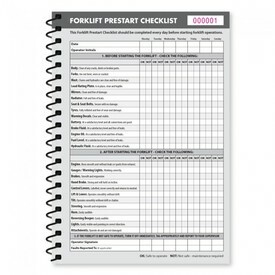 Each checklist set comes individually numbered and has 7 days worth of checks giving you enough checks for a full year. The Matt laminated front cover provides protection from any rough handling and features a repair log on the inside front cover. Each book comes plasticoil bound for easy handling and page turning. Designed & printed in Australia.